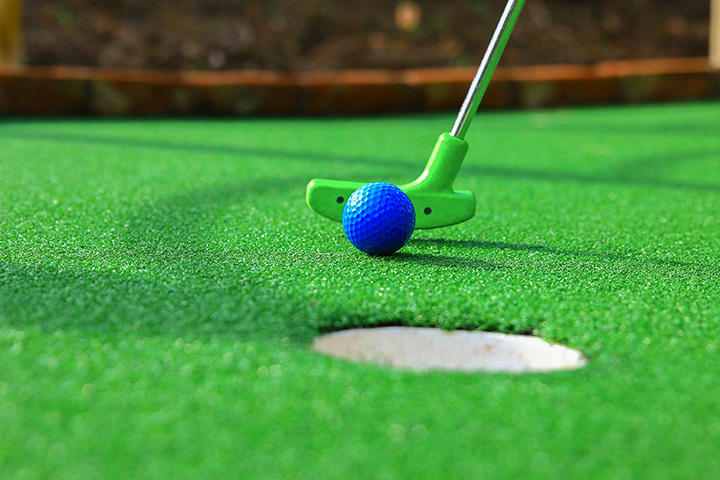 Florida's Favorite Miniature Golf Course is located right here in Fort Myers, Florida! This legendary course has been voted #1 in Florida by "Florida Monthly" magazine, holds the top spots on TripAdvisor and Yelp, and has enchanted miniature golf fanatics from all over the world! Your enchanting adventure begins from the moment you enter the Castle gates where you're instantly surrounded by waterfalls, water fountains and lush tropical plants. You'll feel like you've just discovered your very own secret garden where you are sure magical things are about to happen! The knights of Castle Golf stand guard over this challenging 18 hole miniature golf course with gargoyles keeping a close watch as well. Soon you'll be so spellbound crossing draw bridges, walking through the enchanted forest and storming the Castle that you'll hardly realize that the local wildlife has been watching you. You will know, however, when they are beckoning you to feed them. Even the most serious player will find it difficult to unlock the mysteries of the 18 holes at Castle Golf, but if you get lucky be sure to ask about the mystery hole that day...you might win a free round of golf!